The Golden House Restaurant, tucked next to the Riviera Theatre in Chicago's Uptown neighborhood, is a 1960s throwback to an epicurean era when 'greasy spoon' trumped 'haute cuisine' everyday of the week and twice on Sundays; or at least for the locals north of Wilson and either side of Broadway. 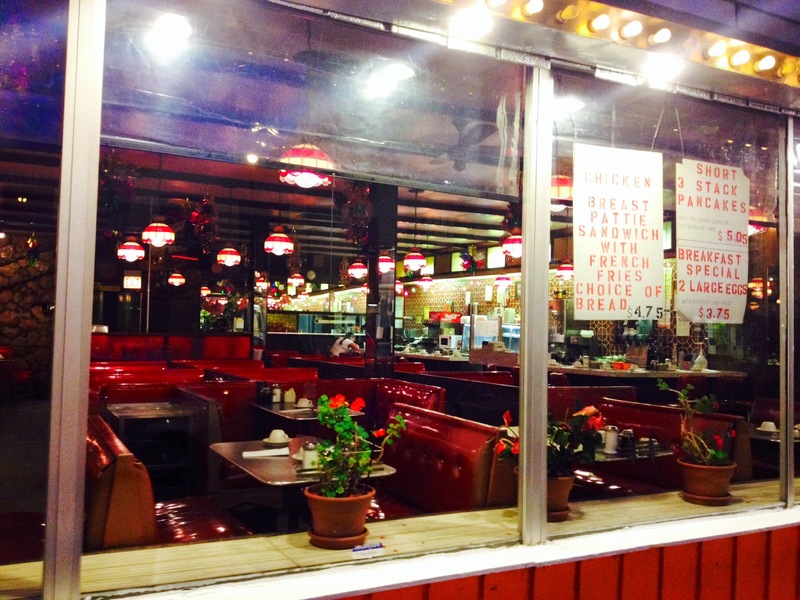 I peeked through the gritty window and snapped this shot of the lone waitress hunkering down over a late night cup of Joe while a patron tried to catch some shut-eye in a crimson booth in the back. And like the sign says: BREAKFAST SPECIAL 2 Large Eggs with Potatoes and Toast $3.75. A pre-holiday nod to 'all the gypsie hacks and insomniacs,' in the spirit of Tom Waits and Edward Hopper.